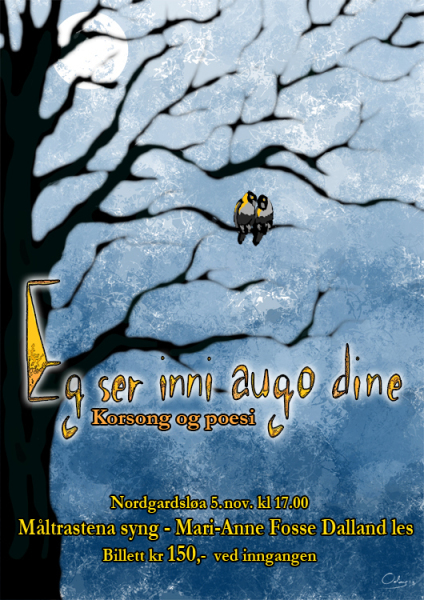 Posters for concerts for a local choire, Måltrastena. The concerts were called "I look into your eyes" and "Now, here comes a waltz" (ruffly translated). The concert "I look into your eyes" was an evening with romantic sangs and poems. "Now, here comes a waltz" was a concert with a collection of some of the songs by Johannes Kleppevik. 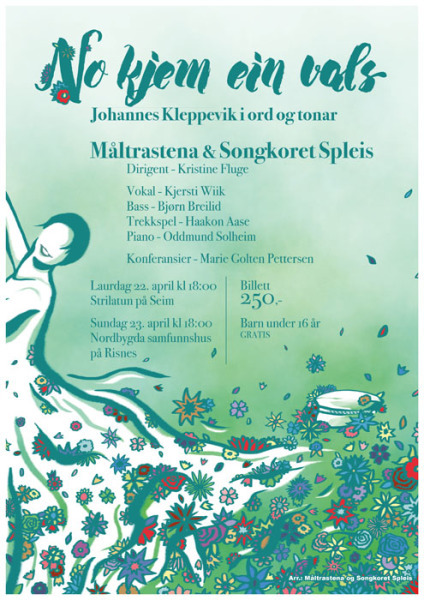 It was a collaboration concert between two choires, Måltrastena and Songkoret Spleis.